Description: Join us for these fun events at the Muscatine Art Center. Starting the month with “Sunday with Santa’. Bring your camera for pictures with Santa and create some fun crafts. Then join Julie Lear on the 8th and make a gingerbread house. 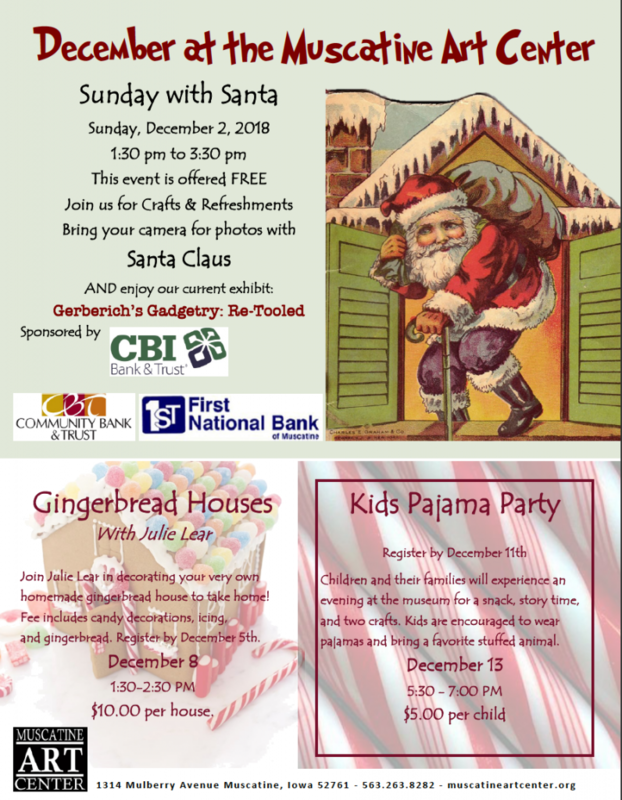 Finally a family favorite – Kids Pajama Party is on December 13. Bring your teddy bear and wear your pajamas for this fun event.